In high school, our coach used to make us run a mile twice a week. I hate running. With a severe passion. I've always been jealous of those folks that I see running up and down Embassy Row. "Oh, I think I'll go for a jog" say my friends, while just the mere thought of running gives me chest pains. As I would come around the final bend of the last lap, I would pick my (painfully slow) speed, and sprint my way to the end. I don't know where I got all that energy from, but all I knew was that I was almost done, and the faster I went the faster I would reach the end. I'm going AWOL for a little bit. I'm coming around that last bend and I'm ready to sprint. All that stands between me and that diploma are two finals, in quite possibly the hardest classes ever (for me at least...). But don't tune out just yet! I've asked around to some of my favorite favorites in the bloggy world and begged kindly asked for their assistance this week. I'll be back in a couple weeks after I have time to process everything that's happened over the course of this week and the past four years! Much love to you all!!! It's blog swap day!!! Please welcome Brittany from Kendalling Love! This super-cute newlywed has a GREAT post that is exactly what I need right now - a guide to less stress! Howdy to all readers of "When in Rome!" My name is Brittany, and my husband and I have a blog (more so me, less so my husband :)) at http://briandbritt.blogspot.com called "Kendalling Love." We are graduates of Texas A&M in Biomedical Science (we met in class!). He was in Albania for the Peace Corps, while I was in graduate school in Miami... one thing led to another and we were engaged one week after our first kiss, and married seven months after that! We've been living a huge blessing in Miami ever since... enjoying the beach and sun when we're not working or in school. In the next few weeks, life's about to change drastically for us. Brian will be finishing up his teaching job. I will be getting my Master's in Biomedical Science. We will be moving to Texas for the summer to live with my family. And then... we start medical school this fall! It was his individual dream, and my individual dream, to become doctors when we "grew up." :) After meeting, we realized we had the mutual dream, and so ever since we went on our first real "date" as boyfriend/girlfriend (which... was via phone... because he was in Albania and I was in Texas... see how silly our relationship was?! ), we have prayed every night that we could get into the same medical school and fulfill that ambition together. Dreams came true- and we found out in December that we will be attending the same medical school... at the same time! We're thrilled and know that even with all of the challenges we'll face, the rewards will be so much greater! With that being said... there's been a little stress in our life lately, to say the least!... and I realized that EVERYbody- readers of When in Rome and Kendalling Love alike :) get SUPER stressed at one time or another. So I wanted to pass on this great forward with wonderful ideas about how a well-rounded person can adequately handle stress and be able to take a big deep breath and know that life is too short to spend worrying! anything about a situation, forget it. 16. Carry a Bible or othe inspirational book with you to read while waiting in line. 20. Listen to a CD while driving that can help improve your quality of life. 23. Having problems? Ty to nip small problems in the bud. 24. Make friends with good people. 25. Keep a folder of favourite scriptures on hand. I am not a mother. I don't have funny stories about the adorable things my baby did, or fond memories of pregnancy and I don't own any onesies, strollers, or formula. And the only pump I've ever been familiar with is the one at the gas station. Yet, last week, my heart broke for the loss of a beautiful baby girl. Madeline Alice Spohr passed away last week. She was 17 months old. I don't know the Spohrs in person, and up until last Tuesday night I had no idea who they were, but upon hearing their story, my heart shattered into a billion pieces. Sometimes, Death is a welcome relief to the pain and suffering of our loved ones, but other times, it sneaks up on us and steals those who are most precious without any warning. It is truly heartbreaking to read the posts, and see the pictures of a small, tiny being who was here so briefly, yet touched the hearts of thousands. Life is our most precious commodity, but we take it for granted so easily. It's a very strange feeling to grieve for a family that you don't know, to mourn the loss of a life you had no connection to. Upon reading what happened, I spent hours reading previous posts, adoring pictures, and felt the sudden sadness that she was gone. I can only imagine the pain that her friends and family are going through. I have nothing to give except my words, my thoughts, and my prayers for them. It's amazing the power of the internet has. In less than a week, over $30,000 has been donated in Madeline's name to the March of Dimes Foundation. News spread like wildfire, and the internet as a whole came together in support. If you're interested in donating to the March of Dimes, please go here. I think you must have lost the memo that said Spring has begun. That means coats should no longer be required, and seeing your breathe when outside is illegal. I know the whole "april showers brings may flowers" thing, but really? I'm over it. Please bring the real Spring back. Why did you do that?! I understand that puppies need to be walked in the rain, but did you really have to leave him outside without any kind of sweater or raincoat? Poor thing was sitting there SHIVERING and looking so so sad! You are so lucky I didn't scoop him up and take him home with me! Thank you for NOT responding to my emails. Really, I appreciate it. I love not knowing anything and continually feeling like I've been ignored. It's the highlight of my day. You are awesome. And your Contest is even more awesome! If you're in the DC area and want a shot at an EXTRA 20% discount card to select stores during Downtown ShopAround, then go visit Heidi. You only have eight more days of class left. EIGHT. Try not to die before then. And please remember to eat. Food is good. 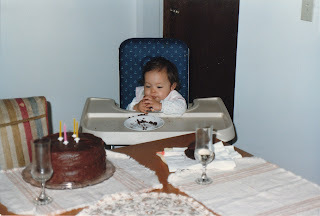 The one where I wish myself a happy birthday. Birthdays are kind of a big thing at my house. My mom wasn't the type to just buy us whatever we wanted whenever we wanted. She would listen carefully to our demands requests, and then buy them for us for either our birthday or Christmas. Our birthdays were always a day dedicated to us. I remember that the night before, my mom would braid my hair after my bath so that my hair would be all wavy the next day. The restaurant was decided by the birthday kid, and presents were waiting at home along with our choice of cake (mine was always Chocolate Cheesecake with a cookie crust mmmm). Unlike some families, presents were reserved for after dinner and before cake. I think it's all in my mom's desire to make things last as long as possible, "If you open them in the morning then you'll have nothing to look forward to for the rest of the day!" she would tell us. In high school, I was notorious for having a countdown to my birthday. I would usually start in January, since it's the next big thing after Christmas. I had no shame in announcing that it was ONLY SIX MORE WEEKS til my BIRTHDAY! This year, I felt the pangs of adulthood, and didn't want to annoy anyone with such childish things. Birthdays are no longer supposed to be fun, but dreaded. Another candle on the cake, another year to your age. Last year's birthday was the ultimate one. The big, forever coveted, twenty first birthday. When the anxiety over fakes and lurking police officers finally dissolves, and you proudly hand over your ID with confidence and pride because, Yes, you are indeed allowed to be here. Still, despite the fact that "all the exciting birthdays are over" I still got pretty excited at the thought of my birthday. Last night, I enjoyed a glass of wine at midnight and I was pretty stoked. I don't mind wishing myself a happy birthday, it's my day of celebration, just like your birthday is one for celebrating as well! 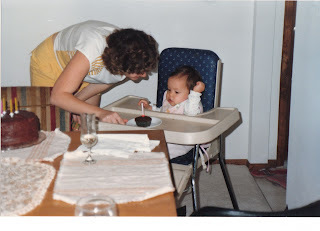 Some may think it's tacky to blog about yourself on your birthday, but I don't care. In my opinion, it's important to know and acknowledge, there are 365 days of the year, it's ok to take one day and celebrate yourself. I plan on instilling that to my children. Birthdays are special, and they always will be. I've been doing a lot of reflecting lately. Both in my normal every day life, and here in my blog. My blogiversary is coming up and I can't believe it's been almost 2 years since I've been here! That's my longest commitment to date! While most of my writing is pretty mundane, I've had a few posts that I think were pretty good. I think we can all relate to the troubles of writing. Sometimes it comes so easily, while other times it's like pulling teeth. As a result, every so often we come up with a piece of writing or two that we're particularly proud of. There's something buzzing in my head. No wait, maybe it's in my pillow? Oh, it's my alarm going off on my phone, under my pillow. It's Monday, Monday morning to be exact. I must be late. 8:59 am, not too bad. Class starts at 9:55, I've got plenty of time. Coffee. I need coffee. Delicious coffee. I wonder what's happened overnight. Anything new in the news? Maybe someone wrote on my wall, or sent me a message! Perhaps my professor finally answered that question I emailed him a week ago. Maybe someone left a comment on my blog. Nothing. Oh well, maybe later. The blog reader is next. I've been waiting all weekend for updates from some of my favorites. I'll check out Apartment Therapy since I haven't done that in a while, and still haven't added them to my reader yet. Interesting. That looks cool. I like the colors of that print. I wonder how much it would cost to do that in my place. I like that photograph. The lighting is nice there. 9:20 am - I should get up...but my bed is so comfy and warm. It's not as bright in here as it is normally, it must be raining. Great. Nothing better than a grey start to the week. What should I wear today? That depends, what do I have going on this week? I want to wear this top tonight, but not today. I wore that one last week, so I better wait a few more days til I wear it again. I have too many clothes and nothing to wear. Such a first world complaint. I guess I'll just settle for t-shirt and jeans, I'll throw a sweater on over it. 9:46 - shoot. I should have left a minute ago. I still need to brush my teeth and put my contacts in...I guess I'll skip the coffee for now. Breakfast too. Maybe later. I'm out the door by 9:52 and making the 5 minute walk up the hill to my first class of the week. It's Monday morning, I must be late. This weekend was great. On Friday night, I met up with awesome Ms. Argument for crepes and drinks, and we went on an EPIC quest to find just one beer more. Yesterday was a lot of fun too, but oh what a day it was. I got to hang out with some fabulous people, picnicked by the Washington Monument, enjoyed some good food, questionable drinks, and endured several uninvited gusts of strong winds. Getting back to my apartment 15 hours after I left...boo. It was a long long day, a lot of fun, but very long. Once you get to a certain degree of tiredness, the people that were fun just 2 hours earlier are wasted, and all you want to do is go home, it's not so much fun anymore. Today was spent recovering and doing nothing. I have nothing profound to write, no basic theme to follow, just writing for the sake of writing. Writing to avoid my mother's phone call informing me that I haven't updated in a while. In other news, my birthday is this week! I've decided to expand from celebrating just one day, to the entire week. I think everyone should celebrate the entire week of their birth. We spend the other 51 weeks of the year celebrating others, dealing with crisis after crisis, and making sure we survive to see the next day. Why not take a week out to celebrate yourself? You've worked hard since last year! You've earned at least a week of being treated special just because! It makes perfect sense to me! Who's with me?! ...Do not start googling your favorite Japanese recipes at 1 a.m. It will make you very hungry. But instead of cooking, you must sleep. And that will make you sad. Sakura Matsuri this weekend! Come play!